In early 2015, Zalando decided to expand its tech expertise and open tech hubs around Europe. First up was Dublin in April, and not far behind, the Helsinki Tech Hub was launched in August 2015. 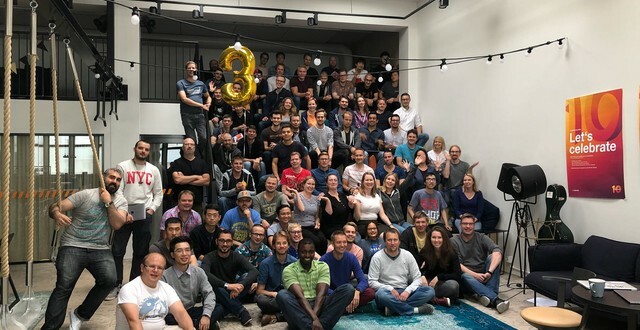 The Helsinki hub has had an exciting journey so far; from scaling to over 60 employees and designing a custom office to fit our community in our first year, to continuing to grow to over 100 employees with over 30 nationalities by our second anniversary. Fast forward to 2018, we look back on how we grew and what made us the unique Zalando Helsinki (or #Zelsinki) community we are today. We spoke with one of the most integral members of our Helsinki Tech Hub, our #Zelsinki Community Manager Elina Zimpfer, who has been with Zalando Helsinki since August 2016. When you joined what was the Helsinki Tech Hub like? The Zelsinki team was about half the size it is now when I joined. We were still at the old office, which was so full that newbies didn’t get their own desks when starting. The renovation and the move to the new office had been delayed by some weeks, so I started in the hurricane of moving offices and doing the final touches to the new location. It is my everyday job to have an understanding of the local community and make sure that everyone in it is a part of the global Zalando ecosystem. It is really important that we as remote sites are represented at the heart of Zalando, and I’m proud to be a part of supporting that goal. The Helsinki Tech team has a very good record on giving talks at our internal knowledge sharing platform, and I see that as an important window for us to showcase our work to the rest of the company. What kind of things did you do to build the community? At a remote site and a smaller team, we have the chance to do many various activities and focus on smaller details. It soon became clear that our Zelsinki people are very competitive, so different tournaments are very popular. In Zelsinki, you can win a fantastic handmade trophy in almost anything, we have tournaments for pool, table tennis, mölkky, and Mario Kart just to name a few. We also love to have fun together and celebrate our achievements, so “cupcakes & bubbly” occasions are not unusual. In addition to our Helsinki internal activities, participating in the global Zalando Tech Community projects and events is a good way to keep the “one tech team” spirit alive. As Zalando is a relatively new company in the Helsinki Tech scene, it’s also important to raise our profile and give back to the external community. I organize external meetups and other events, and encourage our people to participate and give talks. What is the most important thing about building a local community? Each community has its own special features, traditions and characteristics, so the things that work for one community might not work at others. It’s important to keep the customer in mind and personalize solutions to fit the community members. Getting people involved in the creation of common events, is a great way to really grasp the needs of the community. We have many special activities in our Helsinki community, amongst them our annual Summer Adventure. It’s the most wonderful time of the year for Finns. Nightless nights, Finnish sunkissed strawberries, Midsummer and of course for our Helsinki Tech Hub’s Zalandos, the “Zelsinki” Summer Adventure. This was our third Summer Adventure and we made it a good one! 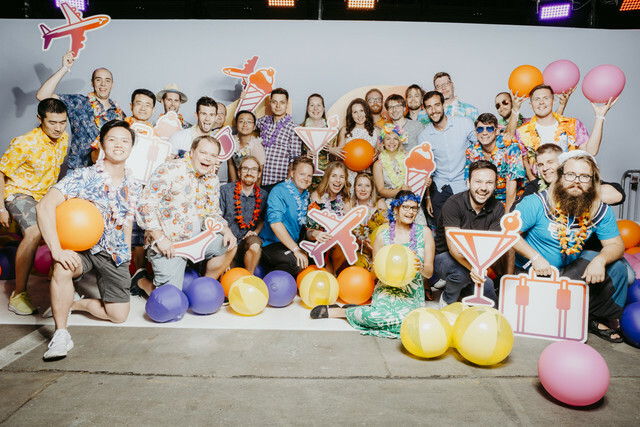 Not your typical summer party and activity, at Zalando we want to personalize our experiences for our users. This also means we want our employees to have the same experience. Three years ago when we started out in Helsinki, we were a newly grown team of 50 people with 60% of our new colleagues from outside of Finland. Most of our colleagues were software engineers, so we knew they loved to solve problems and puzzles. So we got to thinking about how we might show them around Helsinki, get the teams to know each other, and solve some problems along the way to our summer team event location. Escape rooms and geocaching were very popular at the time, so we decided to create an amazing race-type experience tailored for our Zelsinki team. And it was a hit! That was the summer of 2016. Last summer, we decided to reiterate the game by involving our team more and we formed an event committee. The goal again was to solve the puzzles in randomly selected teams to get to our secret end location. We incorporated a theme and our Zelsinki Survivors had to face the jungle terrors all while getting to know some famous Helsinki locations such as Hietaniemi beach and the Jean Sibelius monument. For our third iteration this summer, the Zelsinki Adventure became somewhat legendary and we had even more interest from our own community to create something great for their peers. Our Team Assistant Essi Marttila and myself were at the helm, enabling and empowering our people to get involved, and got together a great organizing committee with diverse skills. Jari Kalinainen created an iOS app, Antti Pennanen composed music, and myself and Essi came up with puzzles, activities and an exciting Wild West themed storyline. We had more props than ever, and it might have been possible to see a group of software engineers ride a hobby horse in a park in Helsinki city centre. This is definitely a tradition that will last in our Helsinki Tech and we can’t wait to see how we develop the app in years to come, and have new colleagues join in to create an amazing experience for their peers. Definitely the people! We have such a great team! I also love the ever-changing nature of my job, every day is different and a new challenge. We have a great team here and we work on some of the cornerstones of the fashion store: personalization, browsing, new emerging business, connected retail and logistics solutions. We’re looking forward to the next three years! Check out our open positions in Helsinki and join one of our Software Engineering teams.